When you build your house, call me. This typographic poster was created as a physical object before being photographed and edited in photoshop for adaptation into a print poster. 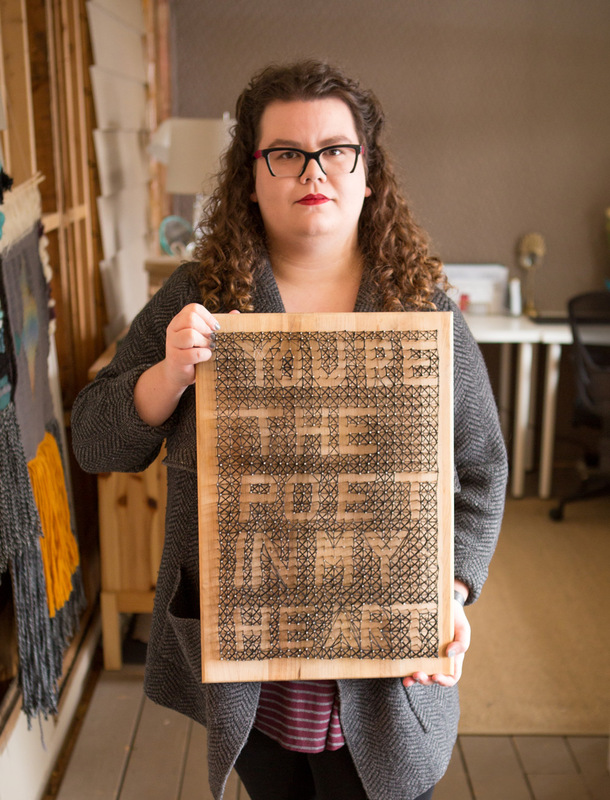 The original physical piece was painstakingly made with 900 nails and winding over 1500 yards of black thread to create the lace-like pattern that creates the text.